Regency has a wide variety of gas and wood models, just pick a style you like and there will be a Regency unit that is a perfect fit in your home. Choose from a freestanding stove, insert, or fireplace. Regency Gas Stoves have the look of a freestanding woodstove but offer you the convenience of gas. A Regency Gas Stove will provide consistent, controllable heat – even during power outages. Choose either the traditional look of a Classic Gas Stove or the contemporary styling of an Ultimate Gas Stove. 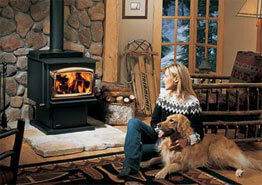 The classic wood stove is the perfect combination of high technology engineering and classical design. All classic wood stoves offer wide view doors for an unparalleled view of the beautiful real wood fire. Add the warmth and comfort of a real wood burning stove to your home today.